On July 17, Bellingcat's team of investigative journalists has released report summarizing all major open source evidence surrounding the downing of MH17 in an easy-to-read 73-page survey. This report is broken into thirteen chapters, summarizing the circumstances that led to the downing of MH17, information on the Buk missile launcher that downed the passenger plane, a summary of alternative scenarios regarding the downing, and other essential areas of information, Bellingcat said. "This report is aimed at those looking for a more accessible introduction into the information around this tragic event, which has seen massive disinformation campaigns around it and continues to be relevant with the ongoing Dutch-led criminal investigation," Bellingcat said. 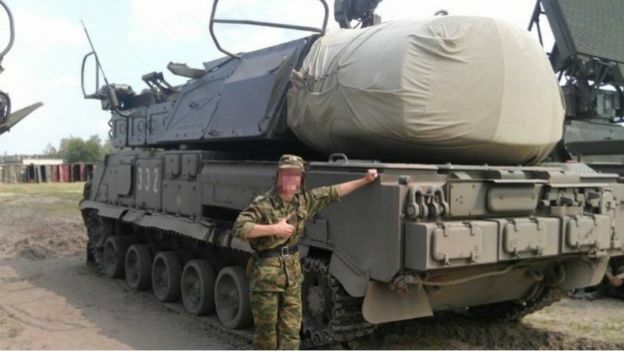 Between June 23-25, 2014, Russia’s 53rd Anti-Aircraft Missile Brigade transported vehicles within Russia to positions close to the Russian border with Ukraine. This includes Buk 332, later photographed and filmed in Ukraine on July 17 and 18, 2014. On July 17, 2014, Buk 332 was in Ukraine, and arrived in Donetsk in the morning. From there, while loaded onto red low-loader, it traveled eastwards through separatist-held territory, and eventually reached the town of Snizhne in the early afternoon. After arriving in Snizhne, Buk 332 was unloaded and drove under its own power southward, out of town. Buk 332 was next filmed traveling east through the separatist-controlled city of Luhansk on the morning of July 18, 2014 missing one missile. Intercepted communications indicate that the missile launcher was taken into Russia shortly after this video was filmed. On July 21, 2014, the Russian Ministry of Defense presented a series of fabricated and misleading information about the flight path of MH17, radar data, the location of the July 18, 2014 Luhansk video, and the inclusion of misdated and heavily edited satellite imagery. Almaz-Antey presented data that was not reflected by witness statements on the ground, any open source information, or the technical assessments made by the DSB. No credible evidence has been presented that shows any operational Ukrainian Buk missile launcher was near a position in range of downing MH17 on July 17, 2014. Read alsoDutch journalists indirectly confirm place of residence of Russian officer involved in MH17 tragedy (Video)Bellingcat, along with other online investigators, were able to discover a large amount of information on Sergey Dubinsky, or "Khmury," another key figure in the downing of MH17. By searching some of the same sources – old videos, popular separatist message boards frequented by fighter sand their friends and family, photographs of meetings from the summer of 2014 between separatist officials and fighters.